Everyone is able to learn cardiopulmonary resuscitation (CPR) and everyone should learn about giving CPR in an emergency. However, according to the American Heart Association, 70 percent of people living in the U.S. feel helpless during an emergency and do not know what to do. Even more terrifying is the fact that emergencies like a heart attack usually occur at home with a family member being involved. CPR during cardiac arrest can move a person’s chances of surviving from a mere 10-15% without intervention to 34-50% with CPR having been given in a timely manner. However, it is important to remember that CPR is not only life-saving for the victim of a heart attack, it can save a person’s life in many emergency situations. This is why the importance of cardiopulmonary resuscitation training is something we emphasize here at Tree of Life Chiropractic and encourage all of our patients to learn. Few people will argue about the importance of CPR and how vital giving CPR in an emergency can be. What many people do not realize though is how long the concept of chest compressions and the basic practice of CPR has been around. “In 1891 Dr. Friedrich Maass performed the first chest compressions on a person, but it wasn’t until 1903 that Dr. George Crile reported the first successful resuscitation using chest compressions. The objective behind CPR and chest compressions is to circulate oxygenated blood to the brain and heart” (Mercola). The process of CPR helps simulate the beating heart and keeps blood circulating through the body so areas of the body, such as the brain, does not die and become deprived of oxygen. CPR can be used in any medical emergency or situation where someone has either been injured or something has happened that renders a person unable to breathe on their own. The person seems fine one moment and then collapses suddenly with no warning. You cannot see or hear any signs of breathing when you check. You check for a heartbeat at the carotid artery and can’t find a pulse or can’t feel beating in the chest. There is no response when you try to rouse the person- no words, eye movements, or body movements. A near drowning victim that is not breathing or moving. Water in the lungs can prevent the person from breathing. You witness an electrocution injury and the person is unresponsive after the electrical source has been shut off. You suspect drug use or an overdose or reaction to some sort of drug or medication. You suspect exposure to fumes, smoke, chemicals, or other similar substances. Anyone who has been in one of these situations or who knows someone who has understands the importance of CPR and how it can save a life. You need to know how to go about giving CPR in an emergency so you can help make a difference in the life of someone in need- whether it is a friend, family member or a stranger. Before Starting CPRMake sure you and the victim are in a safe place and if not get yourselves to a safe location before you begin administering CPR. Immediately call your local emergency number so they can get there as soon as possible and administer advanced care. The individual might not need CPR but they will need emergency services if they have collapsed or have been hurt. 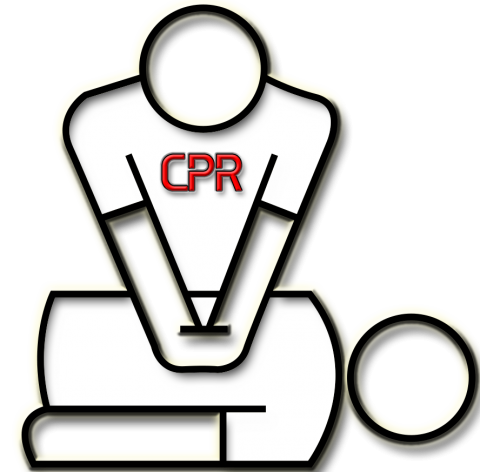 Ensure CPR is NeededPlace the individual flat on their back. Tilt their head back slightly and listen and feel for any breath to see if they are breathing on their own. Listen for breathing and check for a pulse at the side of their neck. Hold your fingers still against the neck for 15 seconds as it can take a few seconds to register if there is a pulse present or to detect a very faint one. Do not check both sides of the neck at the same time as it can block blood flow to the brain and cause more damage. If the individual is not breathing or does not have a heartbeat, then start CPR. Start CPRPlace your hands flat on the person’ chest near the end of the sternum or breast bone. Kneel beside them with your shoulders over their chest. Stretch out the hand of your non-dominant hand and grab it with your dominant hand so one hand in on top of the other. Lock fingers together and then press the palm of the hand against the chest to begin compressions- make sure your fingers are kept off the chest so they do not dig in and cause damage. CompressionsKeep your hand in contact with their chest at all times, avoid bouncing up and down. The up and down momentum needs to come from your hips and not your shoulders or knees. This allows you to perform compressions for longer and prevents you from getting tired too quickly. Compress the chest approximately 5 to 6 cm or about 2 inches. Do this at a rate of approximately 100 to 120 beats per minute. This stimulates the beating of the heart and helps keep it and the rest of the body alive. VentilationsIf you have been trained and are comfortable doing so, incorporate two breaths for every 30 compressions. Even air exhaled normally has some oxygen in it still so this adds oxygen to the person’s lungs and allows for oxygen to be moved throughout the body during chest compression. Continue CPRContinue CPR until the individual is breathing and has a heart rate or when emergency personnel arrive to take over. Learning CPR can make a world of difference in an emergency. If you want to learn more about the importance of CPR and the difference you can make in a moment of need, check out a CPR class in your community today and get trained! Here at Tree of Life Chiropractic we know the importance of giving CPR in an emergency and encourage everyone to get trained and stay up to date so that if the need ever arises you are able and ready to help. Who knows, you may save a life day- even the life of a friend or family member!